Henrikh Mkhitaryan will be a Manchester United player by the end of the week. That’s according to the Manchester Evening News, who seem certain that the 27-year-old is set to become United’s third summer signing of 2016, joining Eric Bailly and Zlatan Ibrahimovic at Old Trafford. 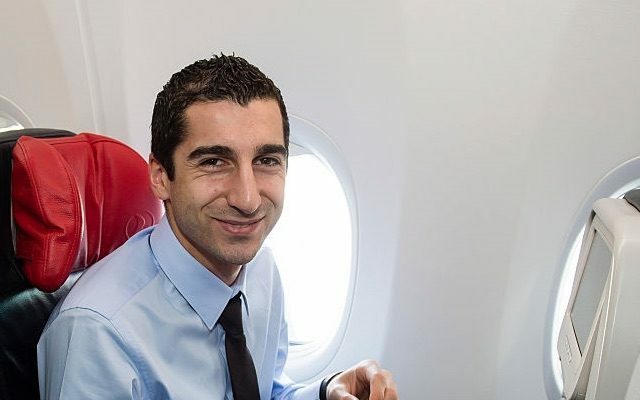 Meanwhile, Gianluca Di Marzio reported earlier this evening that Mkhitaryan had touched down in Manchester for an imminent medical with the Red Devils. Borussia Dortmund have already announced Mkhitaryan’s exit, but United seem in no rush to confirm the inevitable. However, it looks as though the wait will soon be over. Di Marzio claims the medical is first up on the agenda, followed by the application for the Armenian midfielder’s work permit. The Daily Star say United will pay Dortmund a £28m transfer for Mkhitaryan as well as £150,000-a-week wages. Mkhitaryan scored 11 goals and provided 15 assists in 31 Bundesliga games for Dortmund last season. He has been capped 59 times at senior international level, netting 19 times.